'The Canal' is the first thing many people think of when they think: Panama. But a cruise through the famous shipping route might not even make the list of top ten of best Panamanian experiences. It's this default to the canal which makes Panama a bit of an untapped resource and many of the best places to stay in Panama have avoided even the keenest travel radars. But this spectacular country offers the same kind of attractions as its Central American neighbours, sizzling nightlife, elegant colonial architecture, exotic coffee farms and rainforests teeming with life. Plus it's almost entirely ringed by beautiful beaches, with the Caribbean winds sweeping onto perfect white beaches on one side and the swells of the Pacific on the other! If you want to explore Panama's mysterious cloud forests and its amazing biodiversity, La Palma, with the best of the countries national parks, is one of the best places to stay in Panama. If you're here for a dash of the Central American lifestyle, Panama City is for you. Panama is a destination ripe for discovery. Much of the country has good infrastructure, but it still feels unspoiled, and when you traipse through the jungle and come upon Spanish ruins, snorkel on the reefs off Bocas de Toro or spend some time with one of Panama's seven indigenous groups, you'll still get a sense of exploration-wonder. Cosmopolitan Panama City is that curious animal, a tropical capital of International finance. Its skyscrapers are an ever growing work in progress, but the salsa rhythm from its old dance halls, a la old Cuba, are as unchangingly South American as can be. Game changing trade route and fascinating visitor attraction, you can't go to Panama City and not see the canal - on a good day you'll see container ships measuring 32m x 294m sliding into locks measuring 33.5m x 304. Most of Panama's historic attractions are in the elegantly dilapidated Casco Viejo. This is also where you'll find many of the best bars and restaurants and entertainment. But it's also worth visiting Panama la Vieja, the ruins of the old town, sacked by pirate Henry Morgan so badly in 1671 that it was easier just to build a new city a couple of kilometres away rather than rebuild the old city. Area Bancária is the financial district and Panama's skyscraper central. This is also the place for higher end shopping and eating. 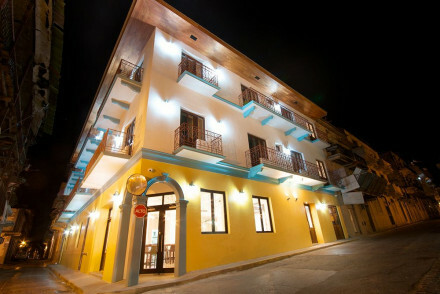 For a cool hotel with a party feel, book into the Tantalo Hotel. Hip roof terrace bar, with superb city views and delicious tapas restaurant. Off Panama's Caribbean coast are a number of desert island idyll type islands, but on the Pacific side you'll find great surfing towns and the opportunity to dive with whale sharks. Bocas Del Toro on the Caribbean coast feels very Caribbean, and makes a relaxed base for exploring the archipelago - both above and below the waterline. Panama has quite a few national parks. and Parque Nacional Marino Golfo de Chiriqui has some of the world's best whale watching. 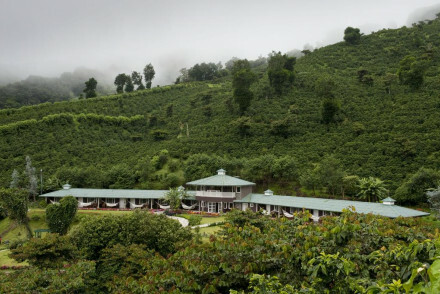 If you're here to see a Quetzal one of the best places to stay in Panama is Boquete - also the country's coffee capital. As well as the rain forests and cloud forests, Panama also has a national marine park, surrounding Panama's largest island, Coiba. This is where you can wonder at some of the impressive biodiversity close up; there's several different species of whale, turtles, crocodiles, dolphins - and that's just in the water. Santa Catalina is the best place to stay to see the marine park. Still undecided? 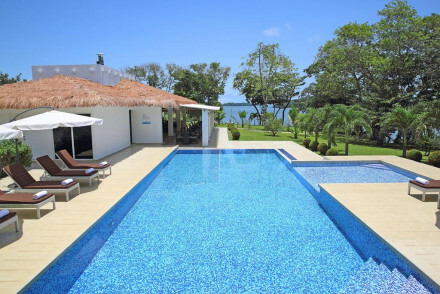 Browse though our list of all the best places to stay in Panama, or contact, one of our friendly gurus for advice. 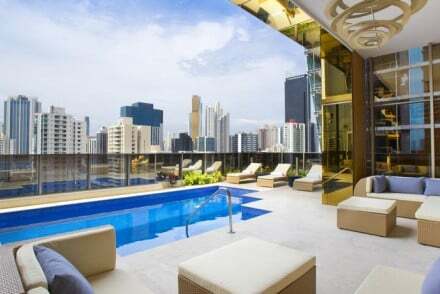 In the heart of the ultra-modern and prestigious commercial sector of Panama City. Floor to ceiling windows offer unrivalled views of the cityscape. Rooms are pristine and smart, suitable for leisure and business stays alike, and the roof top pool is the icing on the cake. A sleek, cool, city stay. Eat drink and be merry at this well-equipped hotel with fantastic tapas restaurant and an impressive rooftop bar. Party on. Bicycles available - Free bikes available for guests' use. A traditional property set within lush gardens. Secluded suites boast gorgeous sea views, floor to ceiling windows and antique furniture. The best suite features a private pool. Just a five minute walk from the beach this is the ideal spot to revel in utter tranquility. 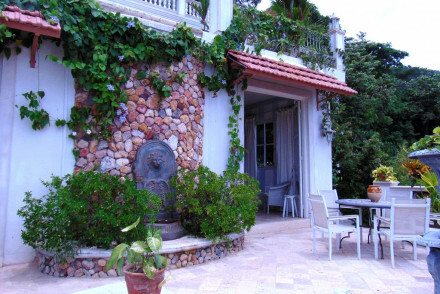 Beach nearby - A tranquil villa just five minutes from stunning beaches. Sights nearby - Make a trip to Crusoe's Cave and imagine the life of the great castaway. Great walks - Wander along lush trails and spot endless varieties of flowers. Finca Lerida is set on a coffee plantation near Boquete. This boutique spot offers chic rooms with light hues and wooden interiors. Enjoy stunning seasonal cuisine at their restaurant, made using only the best of local produce. A quiet and relaxing stay, in a top location. Birdwatching - Finca Lerida is the ideal location for a spot of birdwatching! A stunning coastal property with gorgeous sea views. Contemporary styled rooms are all white on white with dark minimalist furniture and pops of green coming from the furnishings. A poolside restaurant serves up gourmet food (specialising in seafood). The perfect spot to completely unwind. Beach Life - Find epic sea views, plenty of water activities on offer and a secluded private beach to lounge on. Sailing - Hire a boat and spend a day island hopping. 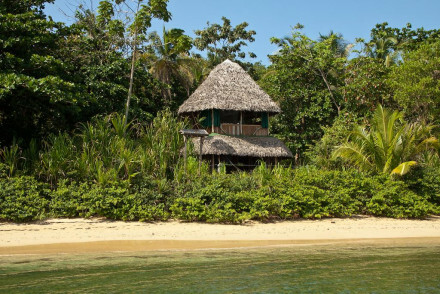 Live like Robinson Crusoe in these glorious natural bungalows on a secluded stretch of beach. Simple rooms, made from entirely natural materials, give you everything you need but no more. Dine 'family style' on superb fresh and healthy cuisine and spend days exploring land and sea. Beach perfection. Beach Life - Stay in natural bungalows right on a secluded white sandy beach. Diving - The hotel offers diving and PADi certifications. 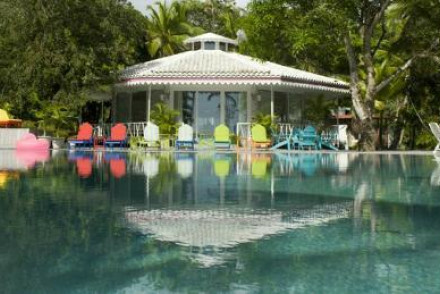 Relax in the sublime setting of Portobelo National Park. The unique aesthetic is a mixture of Caribbean nature and culture, as is the restaurant food. Swimming pool, room service and bar all included. A short walk from white sands, and offers local cultural experiences. Great walks - Through the mangroves. Sights nearby - Visit the Embera tribe nearby, drive and then canoe to their nearest village. Swimming Pool - Infinity pool with glorious views.